The votes were cast and counted almost three months ago. 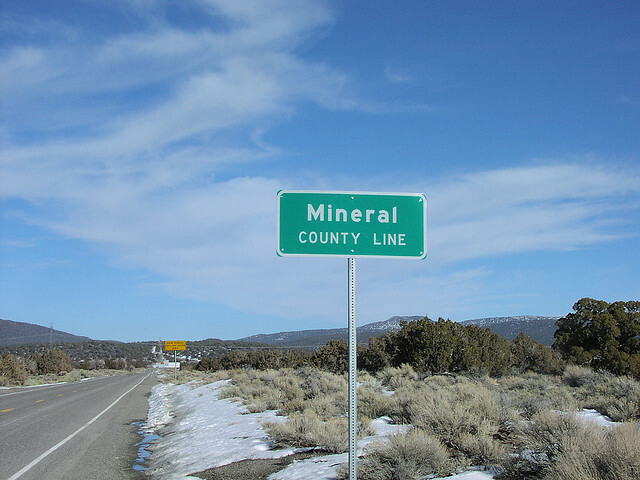 Winning candidates were sworn in and are now serving in office, but in Mineral County a nagging question has emerged. Were all the votes counted? If not, why? And, if a true count changes the outcome in a race, what next? At the moment there are no good answers, just plenty of troubling questions. Stewart Handte went to bed election night believing he’d just lost his job as Mineral County Sheriff, losing by just 75 votes. His opponent was duly certified by local election officials and now holds the office. But now the question he and others here are asking is: did he really lose? More than 14 hundred voters went to the Mineral County polls last fall. It turns out as many as 172 of those votes may not have been counted. According to the Mineral County Independent News, which broke the story, sources say the votes on the electronic cartridge and paper record from one of the county’s machines used during early voting may not have been part of the election night count. They were instead found much later in the bottom of a desk drawer in the Clerk Treasurer’s office. Those records are now in a vault in the clerk’s office while the district attorney and the secretary of state’s office try to figure out what happened and why. The problem, of course, is that the missing votes could change some outcomes – but those outcomes have already been canvassed and certified. What, then, to do? The case is all the more puzzling for the fact that the results were duly posted, passed through the canvassing process and certified by the county commission. Everyone signed off without anyone apparently raising a question about them. Margins of 75 in the Sheriff’s race and 88 in the Clerk Treasurer’s race are perhaps unlikely to be overturned in a recount, but the Assessor’s race was decided by just 14. The man who came in second in that race would like to know if he really lost, but says there’s a greater issue at stake in finding out what happened and why. [E]fforts to contact the outgoing Clerk Treasurer, Cherrie George [in whose desk drawer the missing cartridge was found], were unsuccessful. It isn’t clear how the missing votes were overlooked; presumably, there would be voter records showing the total number of ballots cast – and 172 ballots out of 1,400 (12%) missing is a big number. They were missed, though, and Nevada state law doesn’t appear to address this issue – but it will be interesting to see what happens if the missing ballots do, in fact, change one or more outcomes from last fall’s election. In short, it’s a mess – and I’ll be watching to see if and how the county unravels the mystery. Stay tuned. 1 Comment on "Mineral County Mystery: Are Votes Missing? Were They Hidden?"